Marvel at the breathtaking beauty of Himalayan North India on this packed 17-day trekking adventure! Keep your camera handy as you trek at altitudes of over 4,000 meters in search of Snow Leopards, Blue Sheep, Tibetan Wolves, Ladakhi Urials and many more! Your North India Trekkig Tour begins as you are welcomed by our representative upon arrival at Delhi airport, and transferred to your hotel. If there is time, you might want to explore the Indian capital city. Delhi, the capital city of India is one of the largest and fastest growing metropolises in the world. It is a bustling city, ever growing and molding itself with the times. The city has a colorful history which is embodied in its monuments, forts and historical places. A visitor can choose to sample the culture of the city in its vibrant markets or taste the Indian cuisine in its numerous eateries. Delhi has something to offer for everyone. Today we head for the airport to board a flight to Leh, where we will be based for the next three days. 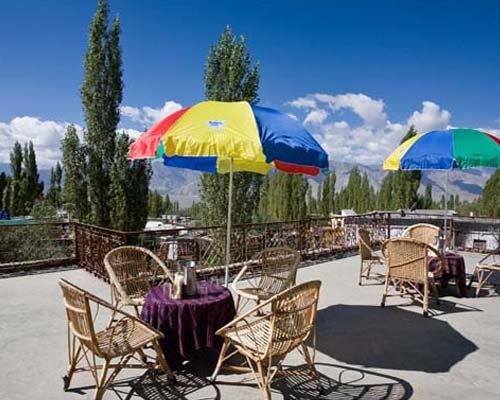 The beautiful town of Leh is situated at an altitude of 3,500 meters. It was once the capital of the ancient Himalayan kingdom of Ladakh. The town is dominated by the Leh Palace, whose architecture is similar to that of the Dalai Lama’s former Tibetan residence – Potala Palace. We spend the day getting acclimatized to the high altitude. Our guide will brief us about the tour in the evening. Today we drive to the Nemo plains in search of the unique Ladakh Urial, a wild sheep that is endemic to Ladakh. We return to the hotel for lunch. You are free to spend the rest of the day relaxing or exploring this ancient town. In the evening, you will be briefed about the trek to be undertaken on the following day. Today we leave Leh and drive for about an hour to Zinchen, the entrance to Hemis National Park, to start our Himalayan trekking tour. We then trek for three hours to reach Rumbak Sumdo, which is located at an altitude of about 4,000 meters. En route, look out for the elusive Snow Leopard and the Blue Sheep! Our camp for today is above the Rumbak village, at an altitude of approximately 4,100 meters. Hemis National Park (also known as Hemis High Altitude National Park) is the largest notified protected area in India. It is also the only park in the country that lies to the north of the Himalayas. 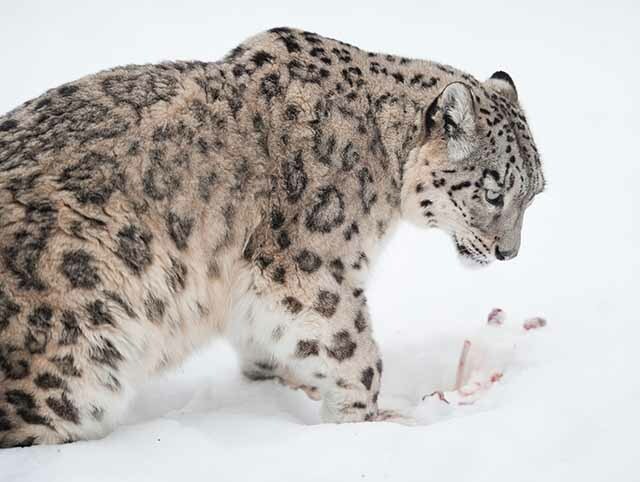 Hemis is famous for its population of Snow Leopards, especially in the Rumbak region. The wildlife here also includes the Argali (great Tibetan sheep), Bharal (blue sheep), Shapu (Ladakhi Urial), Tibetan Wolf and Eurasian Brown Bear. Note: The entire trek throughout the tour is a Grade B category Hike: Moderate hiking in high altitude crossing over 5,200 m). The park is a good place to study Himalayan and trans-Himalayan birds of prey. The noted birds of prey here are the Golden Eagle, Lammergeier Vulture and Himalayan Griffon Vulture. The Rumbak valley presents ample birdwatching opportunities, especially for several Tibetan species that are not common in other parts of India. Today we trek up to explore Husing pass, which is located at an altitude of 4,400 meters. After lunch at the camp, we hike towards Stok La (4,800 m) in the evening. Look out for Blue Sheep and observe the area's amazing birdlife. After breakfast we visit Rumbak village (4,050 m). Here we can interact with the villagers and learn about their conservation initiatives. We have lunch at a home stay. In the evening we trek to Tibles camp, which is located at an altitude of 4,350 meters and spend the night in a tented camp. Today, we trek up to the high pastures of Tsogsti. Here we can spot Blue Sheep and may even see some predators. The park has interesting bird life with more than 73 bird species including Brown Accentor, Robin Accentor, Tickell's Leaf Warbler, Streaked Rosefinch, Tibetan Snowfinch, Chukar, Fork-tailed Swift, Red-billed Chough, Himalayan Snowcock, and the Fire-fronted Serin. Photographers have excellent opportunities to click great pictures of the landscapes and bird life. After exploring the area, we return to our campsite by evening. Today we trek for four hours to Maskyong camp. Look out for the Tibetian Argali. It is the largest wild sheep in the world and is a near threatened species. There are only about 7000 individuals in the wild of which around 300 are found in this region of Ladakh and Sikkim. These sheep are more active at dawn and dusk,and as we trek up the mountains all day you can keep a keen look out for these rare sheep. This region is also a renowned habitat of the Lynx. We call it a day as dusk sets in and stay in a tented camp. Today we have a lot of time to explore the region. The white expanse of snow covered mountains form scenic landscapes from viewpoint. While hiking through the mountains look out for Tibetan Argali and Blue Sheep. Sunset forms a vibrant display of colors in the evening sky as you settle down for the day in your tented camp. Today we trek for five hours to Spangting camp. It is situated over the Gandala pass at an altitude of 4,900 meters. This region is a good habitat for Tibetan Wolves. They are known to make their dens here for their litters every alternate year. Today we trek over Tsogsti high pass. It is located at an altitude of 5,250 meters. We then move down to the Wari pasture. This area is known for its dense colonies of Marmots. These colonies are often targeted by Snow Leopards as they like to feed on Marmots during the summer months. Today we trek down for five hours to Tsogsti village, which lies on the banks of the Zanskar river. From Tsogtsi, we drive for about an hour to reach Leh. Unwind at the hotel after your long hiking and trekking adventure in Hemis National Park. After an early breakfast, we head for the airport to board our flight back to New Delhi. You will be welcomed by our representative upon arrival at Delhi airport, and assisted in checking-in at your hotel. 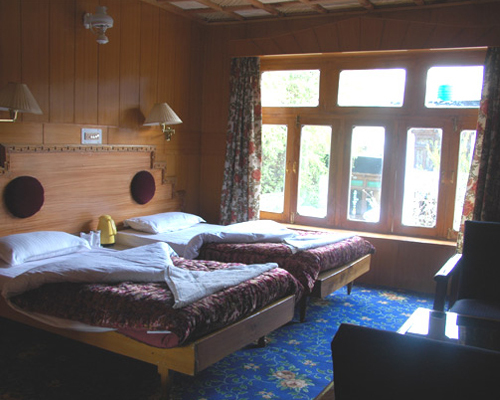 The Himalaya trekking holiday ends in Delhi and you can spend the day relaxing. You will be driven to the airport to board your flight home.